Italian cuisine is revered around the world, but its origins are more complex than a lot of people realize. Various parts of Italy played a pivotal role in the overall formation of the Italian cuisine enjoyed today. Not to mention, some dishes eaten in America are adaptations you won't necessarily find at an authentic Italian restaurant when you're traveling through Italy. Italian cuisine's roots include a variety of sources, such as the Etruscans who conquered Rome around 800 B.C. Italian cuisine doesn't necessarily have its own cohesive identity due to the fact that Italy was once made up of independently governed states, republics, and regions. It wasn't until Italy was unified in the 19th century that a more cohesive style of cuisine began to develop. That's why you'll find very distinctive ingredients and dishes depending on where you travel within the country. When the island was first settled by a group of Corinthians in 734 B.C., they introduced a variety of food products like olive trees, figs, pomegranates, wheat, walnuts, and honey. Rich pastures with sheep and goats provided milk that ultimately became ricotta cheese. Arabs were dominant in Sicily from around 827 to 1091, and a number of ingredients were brought over with them from their North African roots. Some common words used today were derived from Arab words, like sherbet (sharbat), marzipan (marzapane), and couscous (cuscusu). It's believed Sicilian cuisine evolved from the Arabs, Greeks, Romans, Normans, French, Spanish, and Italians from the mainland. When it comes to sweets, Sicily is famous for the introduction of the cannoli. It dates back to the 9th century when Arabs brought sugar cane to Sicily. 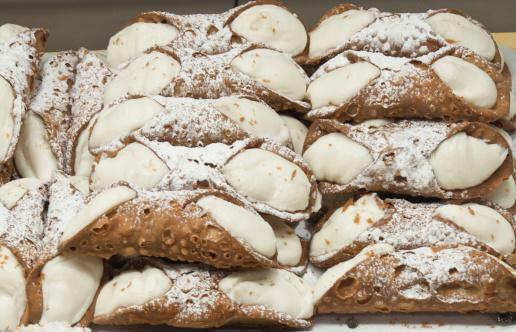 It was first called cannolo, taking its name from the long tubular shape. While some people assume pasta originated in Italy, others believe modern-day Italian pasta may be a descendant of Asian noodles. There were references by Marco Polo from the 13th century that lead some to believe he may have helped introduce pasta to Italy; however, because pasta was already starting to flourish in other parts of the country, it's hard to believe he was the first person to introduce it. He is, however, believed to have introduced rice to the region, which is used to make risotto, another Italian staple. It's been further suggested that pasta was introduced in the southern part of Italy by Arabs during the 8th century. Wherever you travel in Italy, you're likely only steps away from a gelato shop. The origins of gelato are believed to date back 12,000 years to Mesopotamia. During the 11th century, Arabs developed a sugar syrup (shrb) and created sorbet, which became popular in Sicily when it was under Arab rule. The modern-day gelato enjoyed today dates back to the Renaissance period when alchemist Cosimo Ruggieri was credited with creating the first gelato flavor in Florence. Mozzarella is believed to have originated in Southern Italy, perhaps in the Campania region, which is known for its soft cheese production. The oldest mention of 'mozzarella' in Campania dates back to the 16th century. However, there are 12th-century documents from the Benedictine monks of San Lorenzo in Capua that occasionally offered a piece of cheese known as "mozza" or "provatura, " by tradition. Capua was settled by the monks in 811 where they founded the monastery. A short time later, Aversa city was born, which is regarded for its Buffalo Mozzarella production. Evidence shows Parmigiano Reggiano dates back more than nine centuries, with evidence that it had already reached perfection in 1200-1300, and the process has remained unchanged since. 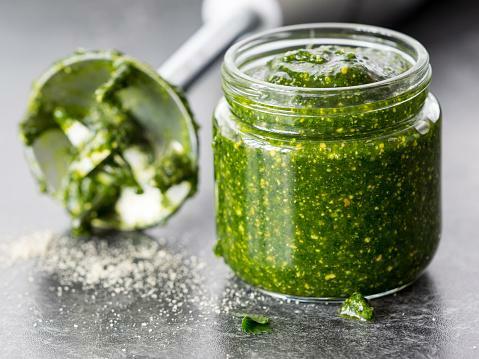 Pesto originated in Genoa around the 16th century. Pesto is made with pine nuts blended with basil, garlic, olive oil, and Parmigiano Reggiano. Alla Genovese is the cooking style of Genoa that includes ingredients like basil, olive oil, and garlic. Real prosciutto di Parma, or Parma ham, comes from the Parma region and is made from the hind legs of the pigs, which are aged through a dry-curing process. It dates back thousands of years, and there is a reference to it in the world's first mock heroic poem which was published in 1622. Tomatoes are an essential part of Italian cuisine, but they were not indigenous to Europe. Tomatoes were first brought over to Europe from the new world by explorers during the 16th century. Since the word Pomodoro means a golden apple, one theory proposed by researchers is that explorers also brought tomatillos, many of which are yellow. Soon, the tomatillo was phased out, but the name stuck. It wasn't until the late 18th century when recorded evidence emerged that indicated the use of tomato sauces and preserved pastes. During the 19th century, tomatoes became a staple in Naples. Bolognese, or ragù, originated in Bologna, which is part of the Emilia Romagna region. It's believed the earliest version of ragù dates to Roman times; however, it was obviously made without tomatoes since they didn't arrive until centuries later. The original recipe for Ragu alla Bolognese has been traced back to Alberto Alvisi at the end of the 1700s. He was the chef of the Cardinal of Imola, and cooked the first known tomato-based meat sauce. Since its invention in the 1700s, Alla Bolognese is now considered a cooking style that consists of a meat sauce with a vegetable and tomato base that is cooked for hours. Pizza is one of the most iconic Italian foods. But, its roots may be more Greek, or even Middle Eastern. Modern-day Naples was settled around 600 B.C as a Greek settlement, and it was filled with tons of poor workers. They needed quick and inexpensive meals, and flatbreads with various toppings from street vendors fulfilled this need. The transition into pizza was a bit unclear, but it's believed that Naples' bakers needed to use excess dough to have something in the oven to keep it warm. Raffaele Esposito may be the first person who made a pizza with tomato, cheese, and the other toppings more commonly seen today. 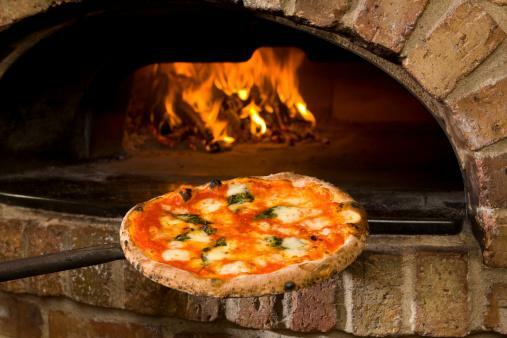 The first pizza place was Port Alba in Naples, and it opened in 1830. Esposito was assigned the task to make a special pizza in 1889 for King Umberto I and Queen Margherita. The pizza he created represented the Italian flag colors - basil was the green, mozzarella for the white, and tomatoes for the red. It was named after the queen and Margherita pizza remains one of the most popular pizzas today. Casa Artusi was the first center of gastronomic culture and is dedicated to showcasing the history of Italian cuisine. Located in Emilia Romagna's town of Forlimpopoli, the center is named after legendary gastronomist Pellegrino Artusi. His iconic book La Scienza in Cucina e l'Arte di Mangiar Bene, or Science in the Kitchen and the Art of Eating Well, was first published in 1891. It was the first book to integrate recipes from all over Italy and it has remained in print continuously since 1894, being translated in over 100 languages and sold all over the world. One of the best ways to understand the complex roots of Italian cuisine is experience it firsthand. If you have the opportunity, traveling throughout the country can help you learn more about the culinary highlights of each region. 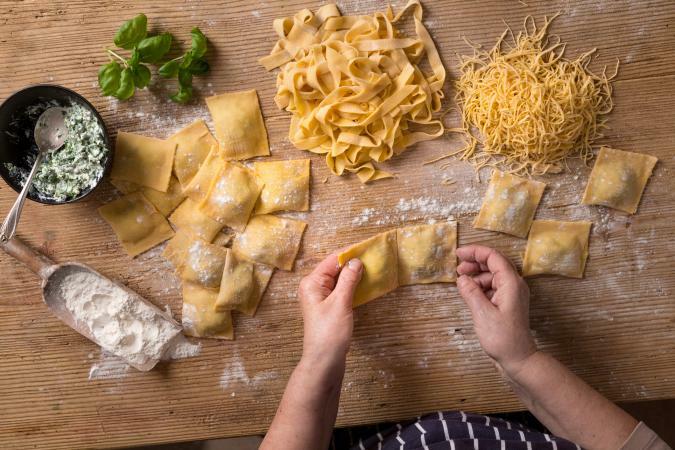 As you travel between popular tourist destinations like Venice, Florence, and Rome, you'll see how varied the cuisine is from other regions like Emilia Romagna, Sicily, and Sardinia.